Pre Joshua's international band - formed in the lively and chaotic witches cauldron of an Indian metropolis - today stands out as one of the most refreshing multi-cultural musical experiences to be found between Bombay and Berlin. 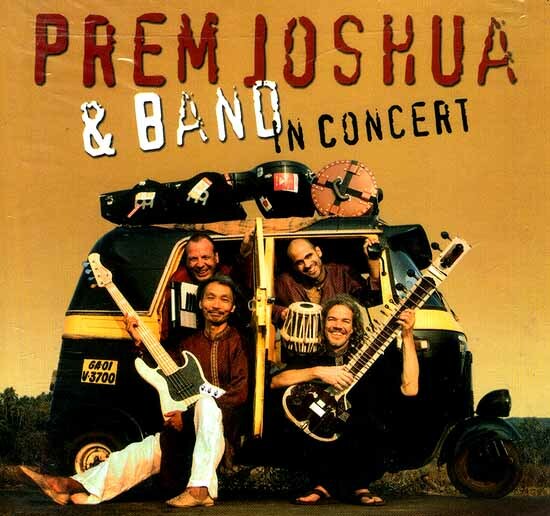 On this album, Prem Joshua & band present the highlights of their 2007 concert tour. These live recordings feature seven new versions of Prem Joshua "classics" and two brand-new tracks. With originality, virtuosity and confidence the quartet creates a musical masala of Indian classical, jazz, funk and chillout... a music so masterly yet playfully blended, that it has found a place in the hearts of listeners from the East, the West and beyond. Over the years touring the world with my band I have become more and more aware of the immense power of music. With it comes a great responsibility for the musician as it is not about him but about becoming servant to music. Sometimes in a concert I see an Arab sheik in a white robe sitting next to an American in a suit, who again is sitting next to an Indian woman in a colorful sari- all of them taken by the music swaying. I can see the shine in their eyes and the smiles on their lips. Yes –I can see it is possible! Deep down we are not divided. Our longing for unity suddenly becomes a reality –easily, effortlessly, this very moment. Yet again the power of music has done its magic! And as a musician I just feel like a small actor in this huge play. These are the moments when I feel so tremendously happy and full of gratitude. To share this magic hand-in-hand with the arduous "life on the road" that I lead along with my fellow musicians is an incredible experience of friendship. In this sense this live album is the musical elixir of us as a band. Today we give concerts around the globe but we consider this album as a tribute to where it all began- the streets of India with its simple and warm- hearted people. just got this, great cd. my order came fast,this is a great website!very profesional ,thank you so much!